Premises Liability Lawyer Denver CO - The Law Office Of Richard J. Banta, P.C. If you have been injured on another person’s property, it may be a good idea to get advice from a premises liability lawyer Denver CO families count on. The Law Office of Richard J. Banta, P.C., has been protecting the rights of victims for decades. Equipped with a passion for law and a dedication to get justice, Richard J. Banta is a Denver premises liability lawyer who knows what it takes to get maximum compensation. For a consultation, call our firm at 303-331-3415. In Colorado, it is the duty of a landowner to maintain their property up to a “reasonably safe” condition. This is meant to prevent harm or injury to guests, visitors, and those passing by. Unfortunately, as an experienced premises liability lawyer in Denver CO, we have seen that a fair amount of property owners or managers do not adhere to this duty. To prove negligence, a lawyer must be able to show that the defendant had knowledge about a pre-existing dangerous condition. Knowledge can be defined as actually or constructive knowledge. If the defendant is found to have known about the condition, but failed to address it, they may be considered negligent. This list is not exhaustive. If you believe you are a victim of a liability accident on a property, please call a premises liability lawyer Denver CO has to offer, such as the Law Office of Richard J. Banta, P.C. If you are looking for zealous, aggressive, and supportive legal representation, you should have a premises liability lawyer Denver CO offers on your side. The Law Office of Richard J. Banta, P.C., has been representing clients for decades. Available on a contingency fee basis, there may be no fees unless we recover damages. Regardless of the extent of your injuries, we are ready to listen to what you have to say during a free consultation. Rest assured we are happy to address your questions and concerns in a supportive manner. Should we feel there are other, more practical options, we will be honest with you and discuss your possible next steps. For a complimentary consultation with the Law Office of Richard J. Banta, P.C., a premises liability lawyer Denver CO depends on, please call us today. Have you ever been walking down the street, through a shopping mall, or in a restaurant and felt your feet begin to give out beneath you? Thankfully for you, you were able to catch yourself before falling. But what might have happened if you had fallen? Would you have been more embarrassed than anything else? Unfortunately, what many do not realize is how significant such an accident may actually be. Injuries sustained can actually be incredibly severe. The recovery period needed will be contingent upon your injuries, but will be vital in healing. Although business owners can take steps to reduce the likelihood of an injury, slip and falls still remain one of the leading causes for emergency room visits. If you or a loved one has been injured in a slip and fall, and believe the property owner is to blame, consider consulting with a premises liability lawyer Denver CO trusts. Children love to play and run around, especially during hot summer days. While all the running around will get them plenty of exercise, it can also put them in danger if they’re not careful. They can suffer slip and fall accidents, which could put them at risk of many injuries, including broken bones, head injuries and spinal cord injuries. As a parent, there are several steps you can take to protect your kids from these types of accidents. As mentioned above, kids sure do like to run around outside. However, if they run on hard surfaces, like black tops and swimming pools, they can get seriously hurt if they slip and fall and that means not only injury, but retaining the services of a premises liability lawyer in Denver CO to handle your case. That’s why you should tell your kids that they should only run on soft surfaces, like sand and grass. A playground can provide hours of entertainment for kids. Just make sure the equipment is safe before you allow your children to play on it. Check to make sure none of the equipment is broken and ensure that it has traction underneath to reduce the risk of falls. When your children want to rollerblade or ride a bike, make sure that they wear the appropriate safety equipment. For example, you may require them to wear knee pads, wrist guards and helmets. This gear will help prevent injuries if they do happen to slip and fall. Escalators are common spots where children slip and fall. Kids may try to play on these escalators, increasing their chances of getting hurt. When you use an escalator with your children, make sure to hold their hands. Before you let your children go play outside, make sure that they have shoes on with proper traction. These shoes will reduce the risk of them slipping and falling. Also, check to see that they have properly tied their shoes. If your child suffered a slip and fall accident due to hazardous conditions on someone else’s property, you may be eligible for compensation with the help of a premises liability lawyer in Denver CO. The compensation may be used to pay for your child’s medical bills and other damages that resulted from the accident. Consult with a reputable personal injury lawyer today to discuss the details of your case. During the initial meeting with a premises liability lawyer in Denver CO, he or she may want to know details about your child’s slip and fall accident, such as where it occurred and what types of injuries your child sustained. If you have any evidence pertaining to the case, like photos of the accident scene or medical records, bring them with you to the meeting. Our experienced premises liability lawyer Denver CO relies on for slip and fall cases offers free initial consultations to their clients. That means there is no risk to scheduling a consultation today. Call the Law Office of Richard J. Banta, P.C. now. The type of injury you obtained, will play a huge role into your recovery time. It’s critical for accident victims to take the time to care for themselves properly following an incident. Not only might it ensure that you have the proper medical documentation, it will be a necessary part of the healing process. It’s key to take proper care following a slip and fall accident. Not only will you want to make sure that you seek medical treatment, it’s also important that you take the time needed to recover from your injuries. 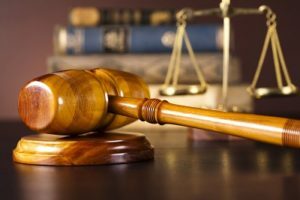 A premises liability lawyer in Denver CO can be particularly helpful when it comes to building a case against the negligent party. Make sure that any spills or wet surfaces are cleaned up as soon as possible. Post signs to warn visitors or employees of any potential hazards. Do not install flooring that may cause people to easily slip. Make sure you have traction (such as non skid rubber mats). Keep your product well maintained by repairing any problems that may arise. Keep walkways properly lit and free from hazards. Neither property owner or patron wants to experience a slip and fall accident. Not only could the legal process be time consuming, it can be stressful. For victims, suffering injuries may take a more significant toll on the life they once knew, especially if the injuries were severe. A slip and fall accident can happen anywhere, making it one of the leading reasons victims take action in the form of personal injury claims. A Denver, CO premises liability lawyer may play a key role in representing you, strategizing and negotiating for you. By acquiring the services of a premises liability lawyer Denver, CO trusts, you give yourself the opportunity to recover from your injuries while they handle the legalities.